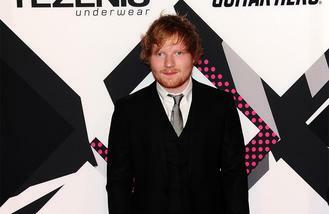 The 'Thinking Out Loud' hitmaker, 24, will need to have an operation early next year to repair his perforated eardrum after it burst when he leaped from a yacht into the sea during his trip to Spain with a group of thrill-seeking friends. Speaking on Australian radio station Nova FM, he said: "I have to have an operation in January on my ear because I stupidly jumped off a yacht really high up and smashed it. "That was on holidays and I didn't realise what happened until I went in water again and it's the most painful thing having a hole in your ear drum and having water go in. "On the last day it was three of their 24th birthdays and I just thought, 'Bugger it, I'll rent a yacht and we'll just go out and escape all the pandemonium.' And yeah it was pretty fun but that's when the jumping off incident happened." But the gifted star isn't particularly worried about the surgery and is glad he can spend time at home recuperating. Ed, who is nearing the end of his Australia and New Zealand tour and will return to his native the UK, explained: "I have to go and get a graft, which means I'm not allowed to fly for a while, so it's kind of good. It means I have to stay at home."